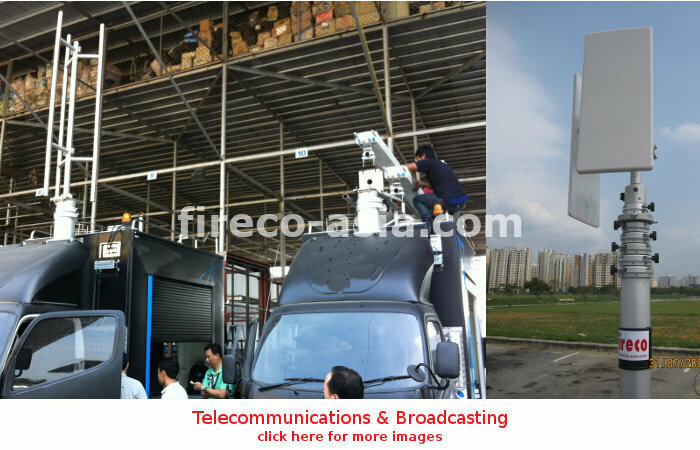 Fireco Pneumatic Telescopic Mast is of great use for Telecommunication & Broadcasting industry. Pneumatic Telescopic Mast is used to carries varieties of antenna to a specific height for better reception / transmission of data. 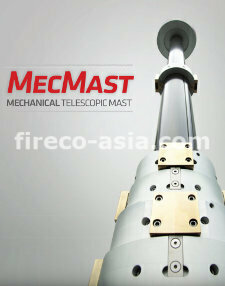 Fireco offers wide range of Pneumatic Telescopic Mast for various height, payload and windspeed requirement, either for mobile or portable application.